The Crochet Connection. 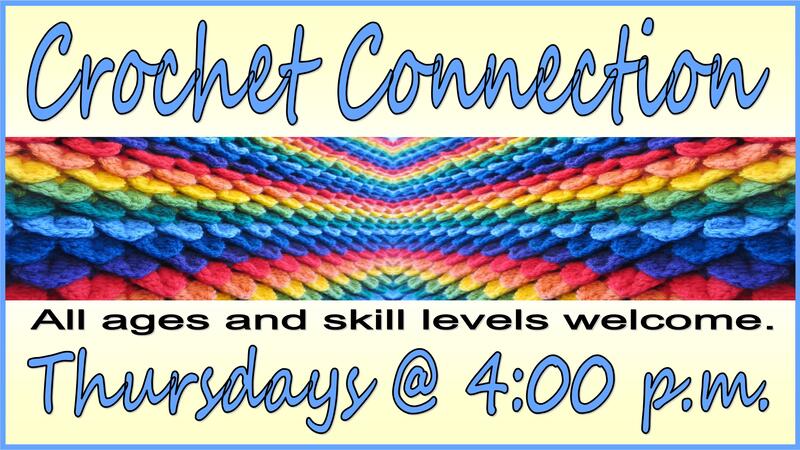 If you love crocheting or would like to learn how to crochet, join us every Thursday. Bring your own project or start a new one.